This is a cooking collaboration with the wonderful cook & YouTuber Mervat’s World in Egypt. We both are making our version of Shrimp Alfredo. My is made with Cajun spices, heavy cream, sour cream, & parmesan. I cannot wait to see what Mervat has in store for us. Since I must cook gluten free and regular noodles for my family, I do not premix the noodles with the sauce. The sauce is completely gluten free (no wheat). 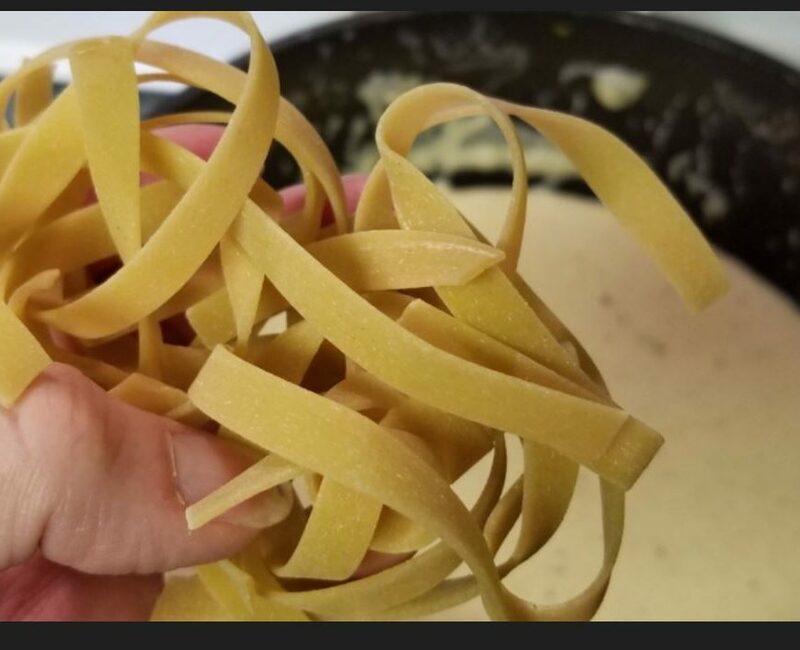 But if you are just making one kind of noodles, you can toss the noodles in the sauce before serving.